I would like to share with you an experience I had during the process of purchasing a car, an experience like no other I had felt before, an experience where I began to loose site of myself and become someone different. Let me start off by saying that before I actually decided to buy a car of my own, I had no interest in cars what so ever, I mean seriously a less than zero…fall asleep at the mention level of engagement. But what I found was that when it came to buying a car for myself, I was obsessed. It was all I could think about, day in day out I would just sit in front of the computer searching Gumtree, Carsguide, Trading Post and every site in between. Why was I so obsessed? I mean it was just a car to get me from A to B, but at the time it was so much more. This was my very first car, an expression of who I was as a person, a symbol of my individuality, maturity and freedom. I couldn’t just get any car I had to get the one that was right for me and although I hate to admit it the greatest concern at the top of my list was appearance. Not just the car but the way I appeared owning it. I wasn’t in the market for a car I was in the market for a statement. The desire for self worth is known as an Ego or Self Esteem need and the desire for the recognition, respect and admiration of others is a Social need (Lantos 2010). These were the needs I put first when looking for my car. According to Abraham Maslow there are 5 types of needs that operate in a hierarchical order. Physiological needs (e.g. hunger, thirst) come first, followed by Security needs, Social needs, Self-esteem needs and finally Self-actualization needs (Fred van Raaij, Wandwossen 1978). “The purchase display and use of goods communicates symbolic meaning to the individual and to others” (Sirgy 1982, p.287). The way in which we give a product symbolic meaning is through the process of Personality Branding. Brand Personality is a set of human characteristics that are attributed to a brand name. A brand personality is something to which the consumer can relate, and an effective brand will increase its brand equity by having a consistent set of traits. This is the added-value that a brand gains, aside from its functional benefits (Monger 2012). In my car search I knew from the get go that there were certain brands I didn’t want to buy because I attributed them with personalities that differed from the image I wanted to create for myself. 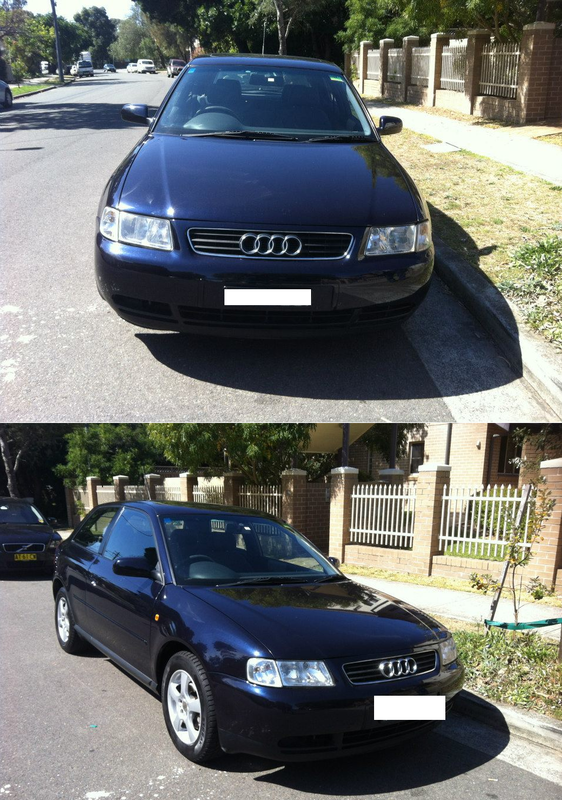 In the end I bought an Audi because the brand to me symbolized prestige and sophistication as well as quality. And although after the purchase I once again don’t give cars a second thought, I still love my Audi. Fred van Raaij, W & Wandwossen, K 1978 ,’Motivation-Need Theories and Consumer Behavior’, Advances in Consumer Research, vol. 5, pp. 590-595. Lantos, G 2010, Consumer Behavior in Action: Real Life Applications for Marketing Managers, M.E. Sharpe, New York. Monger, B 2012, The Personality of Brands -Using Effective Brand Personality to Grow Your Business, Dr Brian’s Smart marketing, weblog, 30 May, viewed 31 March 2014, <http://smartamarketing.wordpress.com/2012/05/30/the-personality-of-brands-using-effective-brand-personality-to-grow-your-business/&gt;. Journal of Consumer Research, vol. 9, no. 3, p. 287. So what does this have to do with the Consumer Decision Making Process? When it comes to making decisions every consumer, no mater what the product, goes through a process of evaluation and elimination. Unlike the children in this video however, who struggled to wait for the ‘better deal’, adult consumers are constantly calculating the costs and weighing up the benefits of the products they buy without even knowing it. They are always after that ‘better deal’. Our level of involvement with this process depends on the level of perceived risk that comes with purchasing a product. For example buying a chocolate bar at the check out is an impulsive decision that plays more towards the ‘Hot System’. It’s an emotional and irrational decision that you don’t really have to think about. Whereas Buying a car is a cognitive decision that plays on the ‘Cold System’. To us there is a high risk of making the wrong choice and so we heavily evaluate our options and hold out for the better deal (Tsiros & Mittal 2000). Time Risk- time spent evaluating not worth it. It is the role of the Marketer to not only generate awareness of their products but to create the perception that their products live up to consumer expectations and won’t invoke any of these risks. They are trying to make sure you do not eliminate their products from your choice pool when processing your purchase decisions ( Court et al. 2009). Court, D, Elzinga, D, Mulder, S & Vetvik, J 2009, ‘The Consumer Decision Journey’, McKinsey Quarterly, vol. 1, viewed 24 March 2014, http://www.mckinsey.com/insights/marketing_sales/the_consumer_decision_journey. Metcalfe, J & Mischel, W 1999, ‘A hot/cool system analysis of delay of gratification: Dynamics of willpower’, Psychological Review, vol. 106, no. 1, pp. 3 –19. Tsiros;, M, Mittal, V 2000, ‘Regret: A model of its antecedents and consequences in consumer decision making’, Journal of Consumer Research, vol. 26, no. 4, p. 401. Consumer research is the investigation into the driving forces behind customer behaviour, consumer psychology and purchase patterns. Consumer research can indicate potential problems, highlight needed changes, help determine new products and services and help develop advertising strategies (Acevedo 2010). To me this all makes perfect sense because when you think about it the best way to cater to a customer is to understand them and how can you be expected to understand someone without first looking into what makes them tick? The problem is however that in today’s faced paced, action packed, activity overloaded society it can be difficult to get people to stop for even just a minute to conduct research. And we are all guilty here; I mean seriously how many of us would give up an hour of our day to do a survey or an interview. Personally, I cross the street or try to avoid eye contact when it comes to those sorts of things. It seems that nowadays in order for a company to get a little information out of someone they have to offer something in return. That’s why free samples and competitions are a great way to generate a response and receive a lot of information without the consumer really noticing. One of the best examples of this I can think of was the Smiths ‘Do Us a Flavour’ campaign. Smiths was noticing decline in sales and wanted to introduce a new flavour. Before they came to a decision about what to introduce they had the brilliant idea to ask customers directly what they wanted through a competition. The initial stage of the campaign saw the brand ask consumers to suggest potential flavours, attracting nearly 315,000 entries. After that people could then vote for the top entries. “All four finalists won $10,000. The overall winner, Aline Pascuzzo, for her Caesar flavour, was also awarded a further $30,000 and received 1% of sales revenue” (mUmBRELLA 2009). What was good about that campaign was that it gave an honest and direct depiction of consumer wants. Focus groups on the other hand offer a chance to get a deeper understanding of consumer psychology but they don’t always get such a straight forward response. Daniel Gross (2003) strongly challenges the effectiveness and value of focus groups for informing product development and marketing. He draws attention to the mismatch between what people say about product concepts in focus groups, and the way they actually behave when it comes to making purchases. In the end consumer research can be quite costly on a company but in turn it can save them millions by saving them from making the wrong marketing decisions through a lack of customer understanding. Hodgson, P 2004, ‘Is Consumer Research Losing It’s Focus’, Userfocus, 1 June, viewed 17 March 2014, <http://www.userfocus.co.uk/articles/focuspocus.html&gt;. Gross, D 2003, ‘Lies Damn Lies and Focus Groups’, Slate Magazine, 10 October, viewed 17 March 2014, <http://www.slate.com/articles/business/moneybox/2003/10/lies_damn_lies_and_focus_groups.html&gt;. Acevedo, L 2010, What Is Consumer Research?, Ehow, weblog post 19 July, viewed 17 March 2014, <http://www.ehow.com/about_5057780_consumer-research.html&gt;. Smith Unveils Ceaser Salad as New Flavour Following Public Vote 2009, mUmBRELLA, viewed 17 March 2014, <http://mumbrella.com.au/smiths-unveils-caesar-salad-as-new-flavour-following-public-vote-14537&gt;.